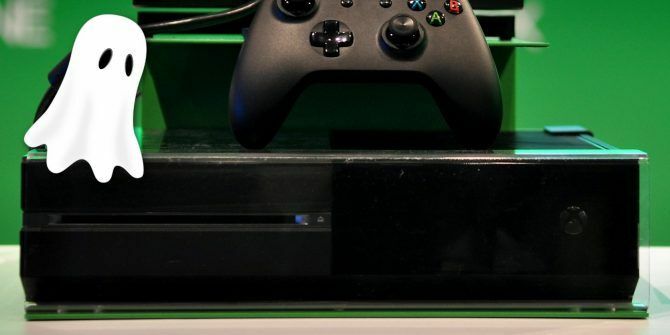 Are you seeing your Xbox One turn on randomly? This issue can have several different causes. While it’s often hard to diagnose exactly what’s wrong, we have several elements you should check to pin down why your Xbox One randomly turns on. Try each one of them in turn and you should be able to stop it from happening. Wipe down the front of your console near the Xbox logo power toggle. Since the Xbox One doesn’t have a physical power button, its capacitive button triggers when touched. A bit of grime, your pet’s tail, or even a static discharge can turn the system on inadvertently. If you have a Kinect, saying Hey Cortana, Xbox on or Xbox on will turn on your system with voice commands. It’s finicky, so you can turn your system on by accident with a similar phrase. Some have reported that disabling automatic updates can fix this issue. Head to Settings > System > Updates and uncheck Keep my console up to date. You can uncheck Keep my games & apps up to date as well if you like. Pressing the Xbox button on a controller will turn the system on. Thus, your Xbox controller could be faulty Xbox One Controller Not Working? 4 Tips on How to Fix It! Xbox One Controller Not Working? 4 Tips on How to Fix It! Is your Xbox One controller not working? This troubleshooting guide will help when your Xbox controller won't connect, keeps disconnecting, won't power on, and more... Read More . Try removing the batteries from your controller and see if your Xbox One keeps turning on by itself to test this. Disable the Instant-on mode, which lets your Xbox start up faster from a sleep-like state. To do so, visit Settings > Power & startup > Power mode & startup and select Power mode. Switch this from Instant-on to Energy-saving, which fully shuts down the console each time. You must press the Xbox button on a controller or the system to start it. With some televisions sets, turning on your TV may also turn on your Xbox. This is due to an option named HDMI-CEC or similar. Turning this off on your TV should keep your Xbox from turning on with your TV. Try plugging your Xbox into another outlet, or directly into the wall if you have it plugged into a power strip. Fully power off your Xbox by holding the Xbox power button on the front of the system for about 10 seconds. Then unplug the Xbox’s power supply for a short time before connecting it again and turning it back on. Make sure you’ve applied all Xbox One system updates, as they can resolve problems. The chances are that one of these is causing your Xbox One to turn on by itself. You can at least rest assured that it’s not haunted. Probably. If you still have the same issue after trying all of these fixes, you should contact Xbox Support. Check out our article looking at more useful Xbox One settings 10 Useful Xbox One Settings You May Have Missed 10 Useful Xbox One Settings You May Have Missed If you've got an Xbox One, you should know about these useful settings hidden in your console. Here are ten you can use to tweak the Xbox to your liking. Read More for additional tweaks you can make. Explore more about: Hardware Tips, Troubleshooting, Xbox One. Its running Windows 10 under the hood one of Windows default feature is hybridboot. It can be disabled in your Xbox under power settings no doubt. That or just pull out the cord from your unit when not using it. Unless the ghost can take a human host, I don't think your Xbox can plug itself in. None of this works! I wipe it all the time (I’m a clean freak), I changed outlets, I don’t allow pets in my room, I reset it MULTIPLE times, I make sure all my Xbox updates are up to date,no Kinect, my controller is off when it turns on, and I don’t have a Samsung anything. My house has been haunted sense I was a baby..so would it be my ghost? Or is the console faulty?..I’m just confused. This is so strange. I did all of these things, however my home has been haunted sense I was a baby. When it turns on, it continues making the noise none stop until it turns off and it will stop. It’s the same when it’s on, I’ll be in the middle of a game and it will shut off and none stop making the noise it makes when it turns off. It just doesn’t stop! I wipe it all the time (I’m a clean freak) and I don’t allow my pets in my room.. so is this just a defect in the console or..my ghost? Ugh. Thinking about that gives me a headache. I also notice that if you have a wired controller or steering wheel like me plugged in, the power goes to the xbox which powers the controller thus tricking it's system to think it is actually turned on which is a bit of an error. "With some Samsung TVs, turning on your TV may also turn on your Xbox. This is due to an option named HDMI-CEC or similar on your TV. Turning this off should keep your Xbox from turning on with your TV." I turned this feature off on my Samsung TV and now I will see if it works. It came on this morning at 4am. Nobody including Microsoft has an answer it seems. My xbox one turned on at 3:03 and no awners of what they gave me is relevant to my xbox. My last option now as I've tried every suggestion posted here is to plug Xbox power cord into the wall all by itself and not to a power bar. If this works, it leaves the unit vulnerable to surges that would have been prevented by the expensive power bar/surge protector I had been using. And if I just leave the Xbox unplugged all the time to prevent it coming on by itself, I have to redo a bunch of settings when I do power it up. Or I could just set the power options so it turns off by itself after one hour of it starting all by itself. This is crazy. I wish I had gone PC. idk about all that. 9pm on the dot 2 weeks apart. Amazing! In my experience it comes on so randomely that it suggests some sort of spying or hacking. Something is intentional here I'm suspecting. I agree! My son's Xbox One has been turning on by itself at least 2x a week, totally random times for 6 months. Nothing has worked and Microsoft just directs me to the troubleshooting ideas similar to what's shown here.